Feeling inspired to do something to help the people of Texas who've been devastated by Hurricane Harvey, I'm donating 100% of the profits from this sign to the ongoing relief + recovery efforts. The selfless acts of service + love depicted in images across social media and the news outlets truly defines us as a nation. We always come together and serve up love to one another...quite generously. It's truly inspiring. 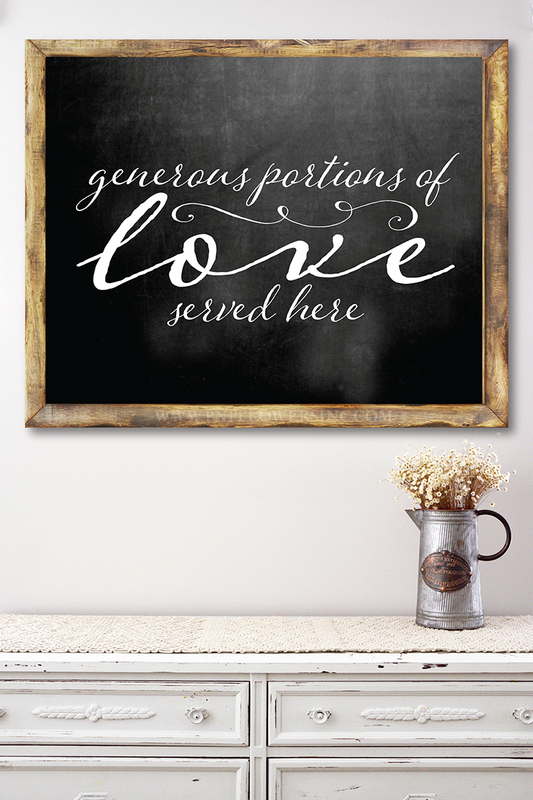 Hang the printable sign in your dining/kitchen area - a reminder of your donation but more importantly, a reminder of the greatest thing we can do in this life...love one another. Click here to make your $10 donation now! UPDATED AUGUST 30th TO INCLUDE MORE SIZES - as requested by YOU!! Receive 8 different signs... 4 sizes, two different backgrounds in each size. "Peace is not the absence of trouble, but the presence of Christ".